Do you have photos, videos, and other files that you would like to protect? Sure, we all do! But the availability of easy local search indexing has made it impossible to stash these items, even using unassuming folder names. 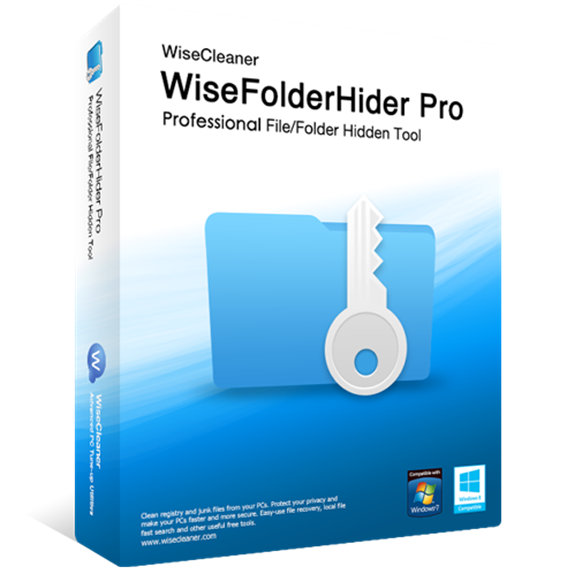 Time to step up your security game with today’s discount software promotion, Wise Folder Hider Pro! 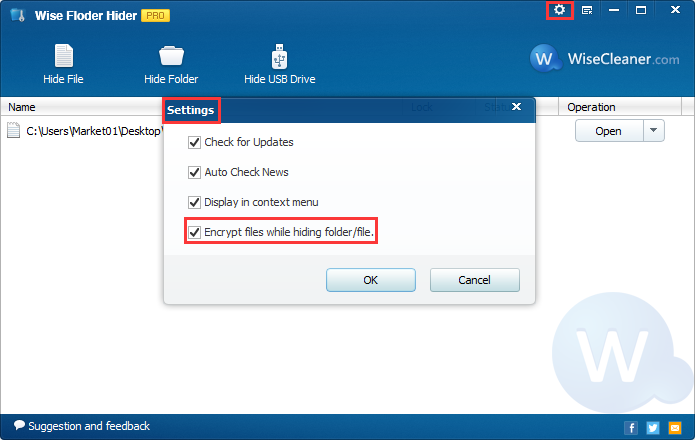 Wise Folder Hider Pro lets you hide and protect private files, photos, videos, and other data, quickly and easily. 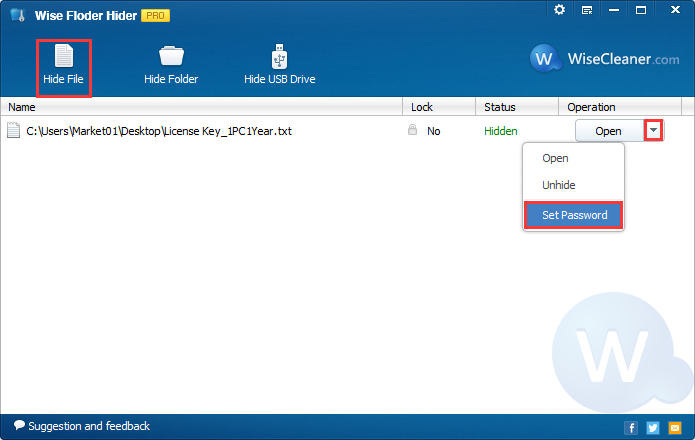 With Wise Folder Hider Pro, you’ll be able to guard your sensitive files from being discovered, opened, and viewed by any third-party tool! 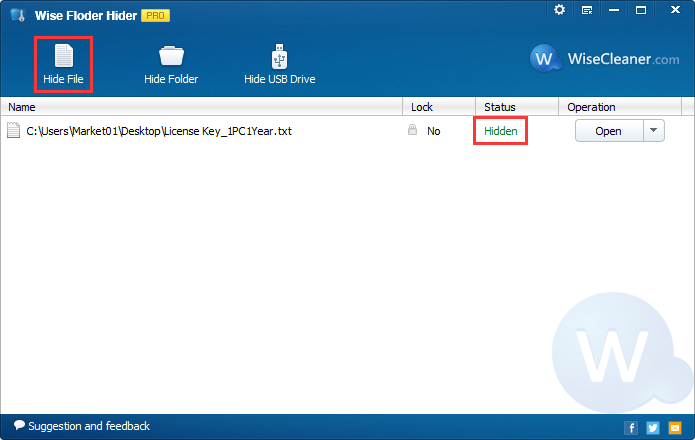 In addition to hiding your stuff, Wise Folder Hider Pro offers you the power to add an extra layer of protection by password-protecting any hidden file or folder. 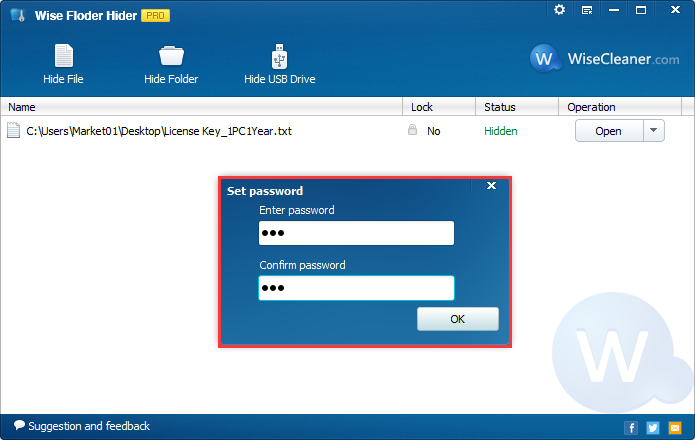 Best of all, Wise Folder Hider Pro lets you edit or modify hidden files and folders without having to unhide them – perfect for those frequently used bits and pieces of confidential data! Please note folks: the giveaway version doesn't have the function of getting back the password automatically and freely! 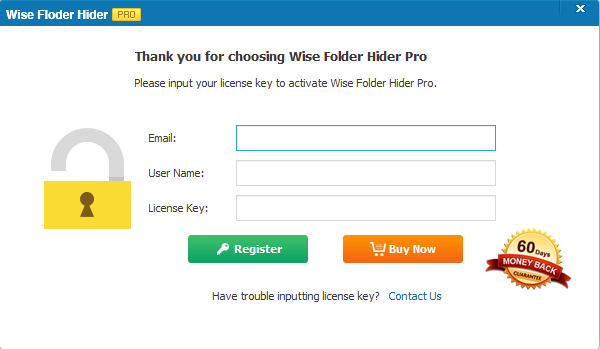 After you purchase Wise Folder Hider Pro, it may be used for 12 months. 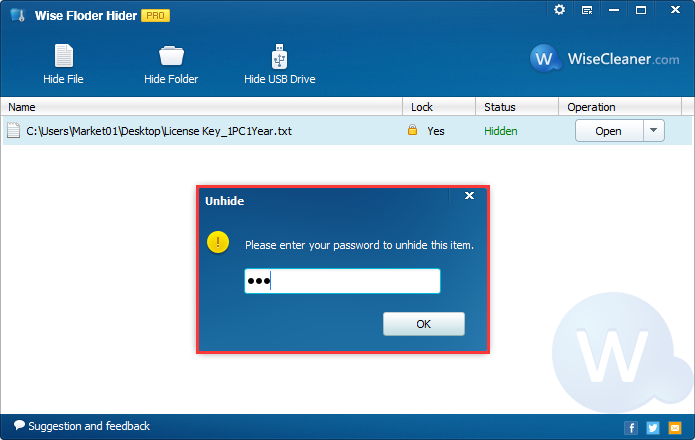 After you purchase Wise Folder Hider Pro it may be used for 12 months and will not function after that unless you renew your subscription. 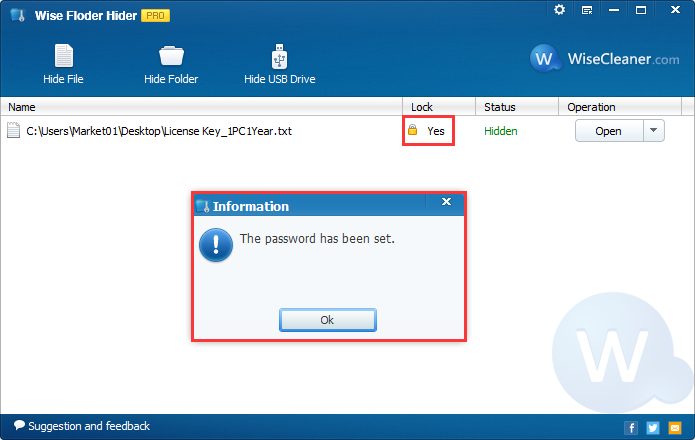 Wise Folder Hider Pro is licensed per computer, and not per user. This promotion cannot be used to upgrade or extend an existing license. Support is provided for current subscriptions. WiseCleaner.com This giveaway version has 1-year using time limitation. After one year, the program will become a free version and all the hidden files will be un-hidden. That is all. You wrote: "This giveaway version has 1-year using time limitation. After one year, the program will become a free version and all the hidden files will be un-hidden. That is all." If that's your policy, why not list this under the "Fine Print" in the first place, rather than have people guessing at it? There's a very important distinction between "....the program will not function after expiry" and "reverting to the free version" as per your description above..
One "cuts you off by the knees" - the other gives you a way out. WiseCleaner.com Wise Folder Hider Pro has no lifetime version. And this giveaway version is the same as all one-year subscription software with full features. The user should have known that after one year, it will become the free version. Secure Your Files, Folders, And Documents! The World's Easiest Text Encryption Software!